A couple of key Red Sox pitchers began rehab assignments in the minor leagues this week. Carson Smith, who suffered a strained flexor tendon during spring training, threw scoreless innings with Portland on Friday and Saturday. The Red Sox appear likely to activate Smith for Tuesday's series opener against the Chicago White Sox, raising the question of who the Red Sox option to make room for Smith. 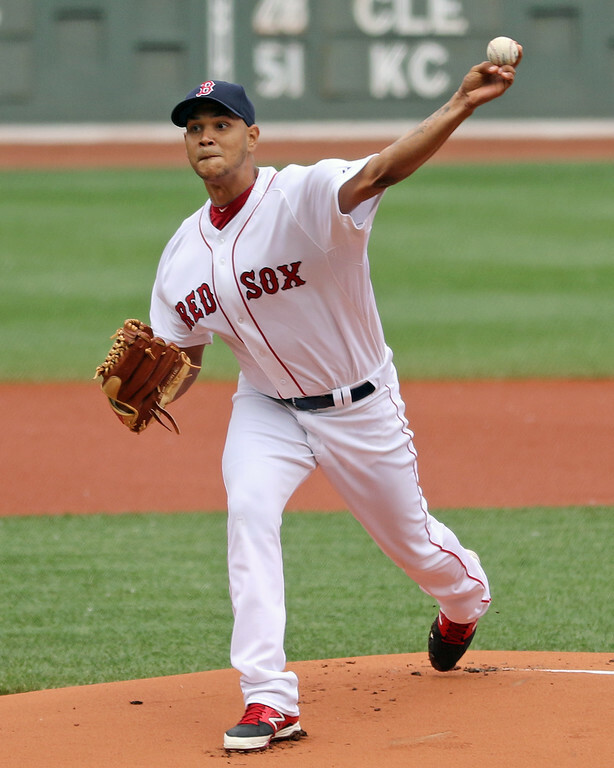 Eduardo Rodriguez (pictured), who had a patellar subluxation in his right knee during spring training, made his first rehab appearance with the PawSox and struggled, allowing three runs on six hits in 3 2/3 innings. Rodriguez will have at least one more rehab start before the Red Sox consider activating him. The Red Sox continued to shuffle their active roster this week. Pat Light made his major league debut on Tuesday, giving up a couple of runs in an inning. The Red Sox then optioned Light to Pawtucket and recalled infielder Marco Hernandez from Pawtucket. In the most recent SoxProspects.com Featured Video, we focus on Greenville third baseman Michael Chavis. The video was taken during batting practice in spring training. Unfortunately, Chavis also went through a bit of an injury scare this week. Chavis, who is off to a hot start with Greenville, was reported to have torn a ligament in his thumb which would potentially require surgery. That report has since been rescinded due to a misunderstanding, but Chavis has been placed on the seven-day disabled list with a ligament sprain and there have been no further updates on his condition. Blake Swihart officially began his transition to the outfield this week, starting a pair of games in left field. Swihart's switch has been criticized by many but Marc Normandin of Over the Monster writes that the Red Sox don't play in a vacuum and that Swihart needs to play where he is most able to help the team. Trey Ball was activated from extended spring training this week and made his season debut with Salem. Ball allowed a pair of runs in four innings, striking out five and walking three to kick off his season. Baseball Prospectus focused in on a few Red Sox prospects, including Sam Travis, Wendell Rijo, Teddy Stankiewicz, and Josh Ockimey. The Red Sox first and second-ranked prospects, Yoan Moncada and Andrew Benintendi, are playing for High-A Salem and are both off to excellent starts. Alex Speier of the Boston Globe analyzes their dominance in the early going. The Roanoke Times takes a look at Moncada's upbringing and life as a highly-touted Cuban prospect playing in another country. Rafael Devers, fourth in the SoxProspects.com rankings, is not off to such a fast start with Salem. However, The Roanoke Times suggests that he is showing flashes of the dominant player he can become. The Portland Press Herald wrote about Bryce Brentz's struggles with injuries in the upper levels of the minors and his unique position as one of few true power hitters in the Red Sox organization. Baseball America writes about a new arm angle for Stankiewicz and how it is playing a role in the right-hander's hot start to the season. Edwin Escobar, whom the Red Sox designated for assignment earlier in the season, was claimed off waivers by the Arizona Diamondbacks. Benintendi has set a high bar for performance since being drafted seventh overall in the 2015 amateur draft. However, he was outstanding even by his lofty standards last week, making MLB.com's Prospect Team of the Week. 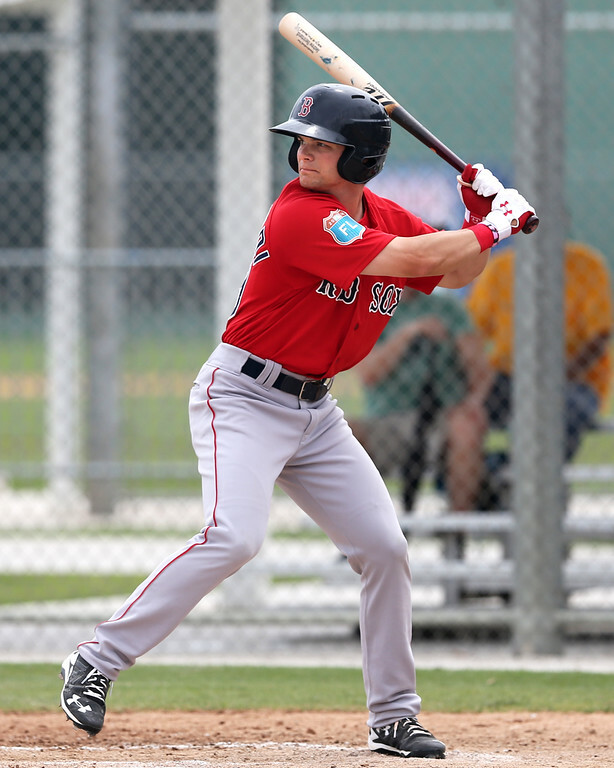 Benintendi, who ranks second in the SoxProspects.com rankings, has been phenomenal to start the season in Salem, slashing .360/.426/.640 with as many triples as strikeouts. At this point, the only question around Benintendi is how soon the Red Sox will give him the call to Double-A Portland. Fresh off his major league debut, Cuevas has continued to perform well in Pawtucket. Cuevas made one start this week and tossed seven shutout innings, earning the win. With those seven shutout innings, Cuevas now has a 3.86 ERA in Pawtucket this season with 12 strikeouts and seven walks in 18 2/3 innings pitched. If he keeps pitching like this, he'll be back in Boston before the season is done.